Do you want to create an image slider in the header of your site? Sometimes you need to display the best deals, call to actions or good photos in your site header having an image slider, so it looks professional to the visitors. In this tutorial, we will share how to add an image slider in WordPress header. By default, there is no option to add an image slider in WordPress header. However, a few WordPress themes may offer plugins to create sliders. 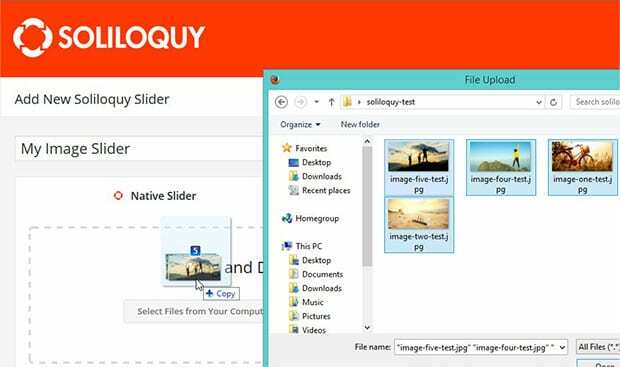 We recommend you to use Soliloquy slider plugin that is simple yet comes with tons of features. It allows you to add the image slider in the header of your site easily. 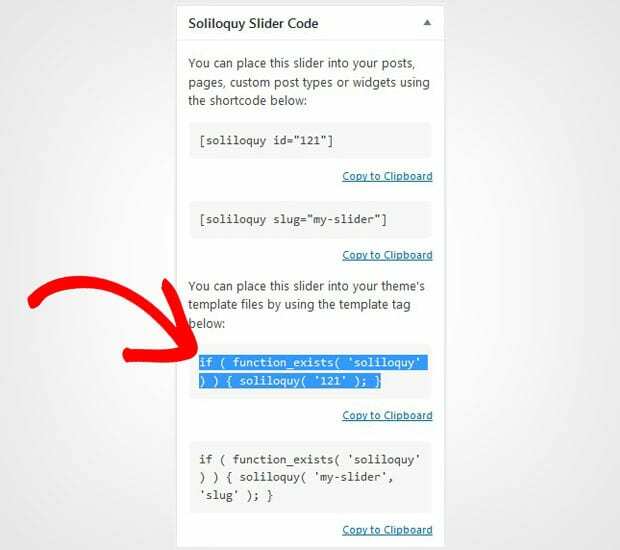 The first thing you need to do is to install and activate Soliloquy image slider WordPress plugin on your site. Want to know more about installation? Check out this simple guide on how to install and activate Soliloquy plugin. Once the plugin is activated, you should go to Soliloquy » Add New to create a new image slider. To start with it, you need to add the title and drop the photos in the Native Slider section. Hit the Publish button on the right side of your screen. For more slider settings, you should check out our guide on how to create an image slider in WordPress. 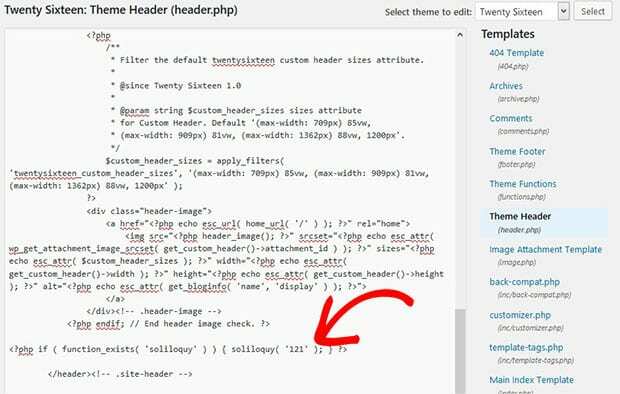 Now you should go to the header.php file of your WordPress theme. You can find it in Appearance » Editor at your WordPress admin backend. Note: Make sure to backup your site before editing your template files, since an error could bring your whole site down. Note that this example is using the default WordPress theme Twenty Sixteen. Your file may look different if you’re using a different theme, and you may have to paste the code in a different location. That’s all. 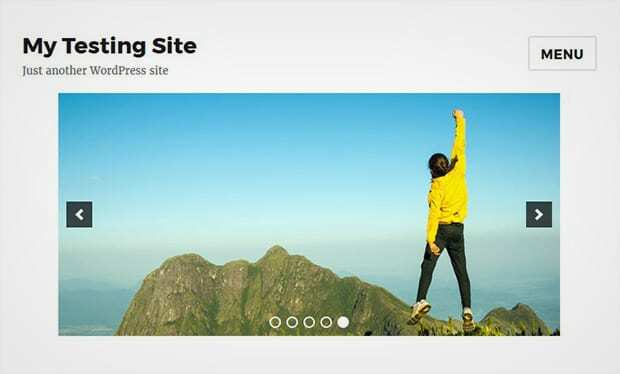 We hope this tutorial has helped you to learn how to add an image slider in WordPress header. You may also want to check out our guide on how to add an image slider to a sidebar in WordPress. In case, your slider images are not ranking in search engines, you should check this ultimage WordPress SEO guide for beginners. How do you know where to put it in the code if you have the Big Brother theme? I think the function is not defined, but maybe i’m wrong. Can you help me please? Nice post. Thanks for the tip. Any idea to ensure the slider is centered? I am only seeing it be left justified which looks awkward. Tried changing the Soliloquy PHP files to center the image to no avail. I have a blog site. I want a slider to show that site, a second site, a soon to be published book, and a my story page. Each of the images need a link to that site, right. But, what about the home page it is already on. Is the slider on a separate page, like a landing page?